I figured out how to weave a hexagon on the loom, using continuous weaving methods. The method is slightly tricky (it took me a LOT of experimenting to figure it out!) and has one disadvantage…. 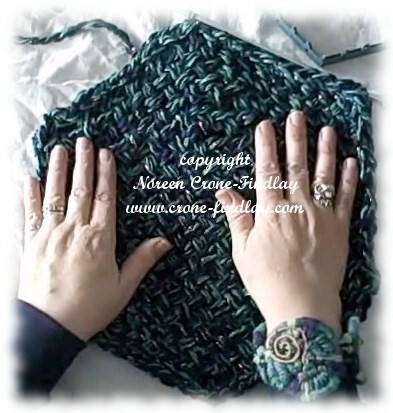 You have to use quite bulky yarn or else the hexagon is really loopy and open meshy (aka ‘sleazy’). I decided that this made it not worthwhile to share the technique, as the knotting technique that was traditional for the Lily Speed O Weave loom allowed you to use absolutely any weight of yarn or thread. Besides, I had figured out a way of speeding up and streamlining the knotting process, so I decided to just go with that. 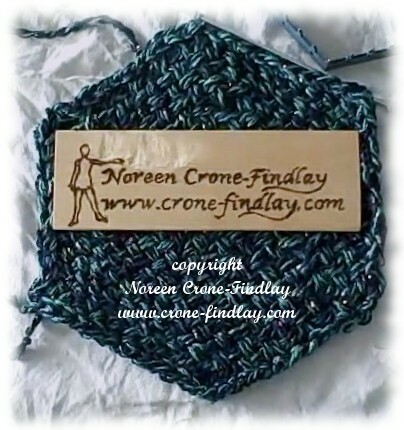 But, a few days ago, a lady on Ravelry asked if anyone knew how to weave continuously on the hex loom and wasn’t into the knotting technique. So, I figured…. okay…. I’ll make a video showing how to do this…. The secret to weaving continuously on the Lily Speed O weave looms? 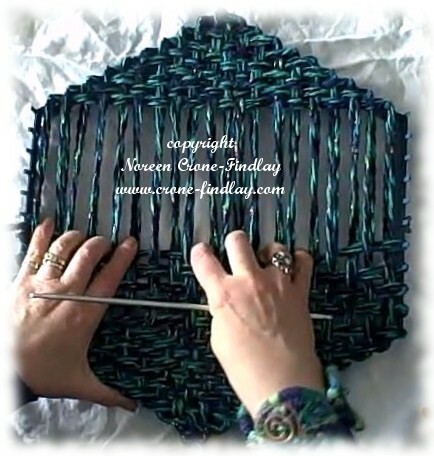 Mashing up triangle loom weaving techniques with the continuous weaving technique of the potholder loom. 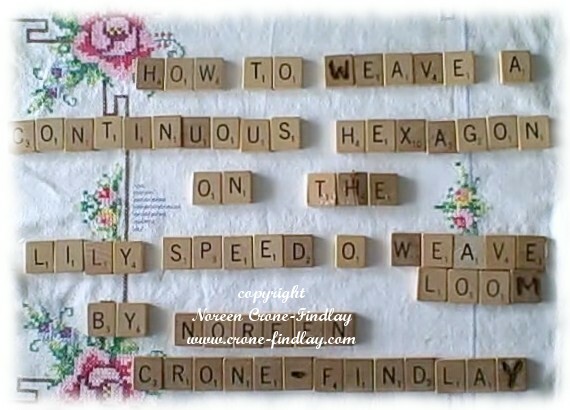 Once you have mastered the technique, it’s REALLY quick and easy to weave up hexagons on the Lily Speed O Weave loom!